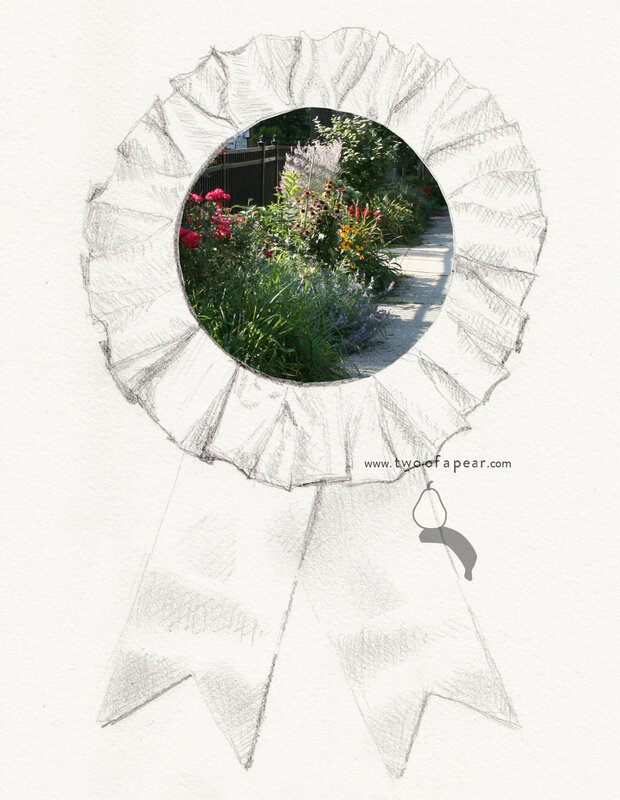 This is a cover of a thank you card I created for a women named Cindy who maintains a garden in my community. The garden is in front of a very popular public park. As a gardener I know how much work goes into maintaining a garden and the investment of buying and selecting plants. She is doing all of this on her own and receiving a thank you from us seems pretty minimal compared to the work she puts into the garden. And we all benefit from her work. This is the garden that we are thanking Cindy for maintaining and cultivating.